Please find the link to our August newsletter reflecting the new provincial reg’s that were introduced with new elements for WHMIS 2015. The newsletter offers advice on how to handle training during the interim period between WHMIS 1988 and WHMIS 2015. Is your facility designed and structured to meet applicable regulations? Have you ever completed a facility Health assessment for your Environmental, Health and Safety (EHS) systems? If not, your company may be taking on greater risk than it can afford. Many companies have never completed a self-assessment or had an external assessment of their HSE systems. 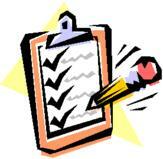 This exercise allows you to get an overall picture of the EHS compliance of your facility. Does your Facility Generate Hazardous Waste? The management and generation of subject waste in Ontario are governed by Regulation 347 “General Waste Management” under the Environmental Protection Act. This newsletter is directed towards subject waste that is generated. Haulage, treatment and disposal have additional regulations not covered in this paper. Regulation 347 defines the requirements for handling, storing, managing and disposing of subject waste in Ontario. It also includes a generator registration and manifest system to track these wastes from the point of generation (cradle) to their final disposal (grave). The regulation sets out responsibilities for generators, carriers, and receivers of subject waste. WHMIS 2015. Is your company ready? The Workplace Hazardous Materials Information System, or WHMIS, has undergone big changes since it was first introduced. In 2015, it was aligned with the Global Harmonized System (GHS) in an effort to reduce the burden and cost to producers and suppliers who export chemicals across the world. The original WHMIS program is now referred to as WHMIS 1988 and the new program is called WHMIS 2015. Health Canada set out a 3-year implementation schedule for Canadian suppliers and employers in Canada. However, it is likely that workplace responsibilities for training and SDSs availability will have to be implemented ahead of the final transition date if hazardous product SDSs or labels are provided early in the transition periods. WHMIS 2015 – What you need to know. WHMIS 2015 – Based On The Globally Harmonized System. In February 2015, Health Canada released the new Workplace Hazardous Materials Information System (WHIMIS) 2015 standard based on the Globally Harmonized System of Classification and Labelling of Chemicals (GHS). All workers who work with a hazardous product, or who may be exposed to a hazardous product as part of their work activities must learn about the hazard information for those products. To ensure worker protection, employers must educate and train workers about WHMIS 2015 as new labels and SDSs appear in their workplaces. During the transition period, employers may continue to have WHMIS 1988 labels and MSDSs in the workplace – if so, they must also continue to educate workers about WHMIS 1988. Please contact us at info@pandrs.com if you would like assistance in training your facility. Welcome to Prevention and Regulatory Solutions Ltd. blog page. This forum allows people to stay informed on legislative changes, best practices, and sharing of ideas & resources. Enjoy & please share your thoughts and comments. Prevention and Regulatory Solutions Ltd. Although Prevention and Regulatory Solutions Ltd. has made reasonable efforts to ensure that the materials contained on this site are accurate, it does not warrant or guarantee: the accuracy, currency or completeness of the materials; that the site will be available without interruption, error or omission; that defects will be corrected; or that the website and the server(s) that make it available are free from viruses or harmful components. The website and the materials provided on the website are provided “as is” and “as available” without representations, warranties or conditions of any kind, either expressed or implied.